It’s not always easy to be brave! Book lives in the library where it is warm, peaceful and most importantly, safe. However, he begins to think about the outside world but is too scared to leave the library. Book sees danger everywhere and it stops him from trying. He sees his book friends go out and come back ripped, sticky and sometimes, some never come back. One day Book sees a little girl named Emma and plucks up the courage to attract her attention. Emma picks him up and hugs him, just the way we all hug our favourite books. Emma takes him out in to the sunshine and Book finally sees a whole new world where lots of good things happen. Stepping out of his comfort zone took courage but Book is now able to reap the rewards and enjoy so many new things in his life. 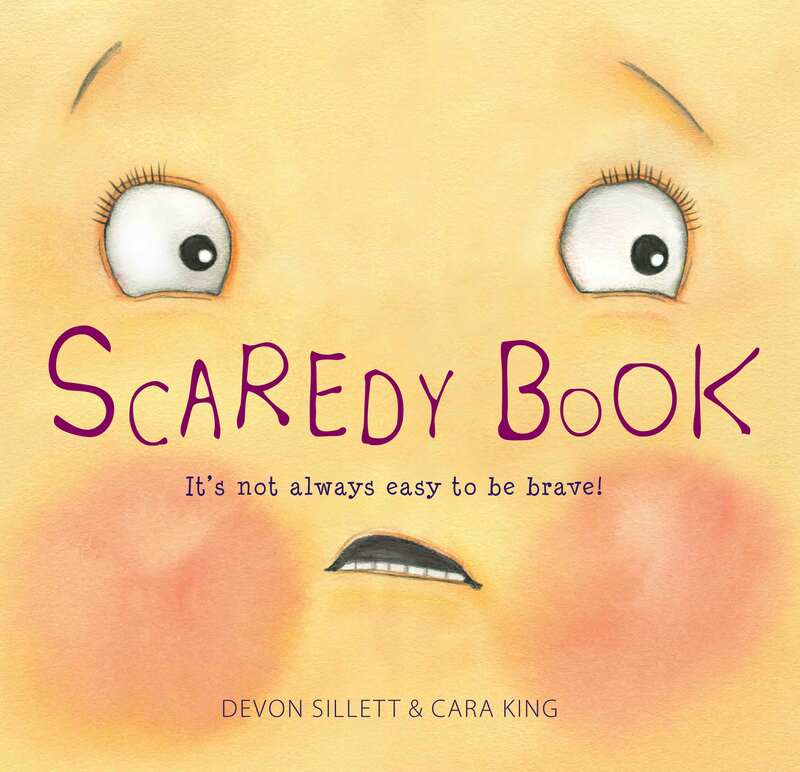 Aimed at younger readers, this picture book is ideal for children who may be a little anxious about the world around them. It encourages children to find the strength within themselves to try new things, to take risks and make new friends along the way. The illustrations are warm and colourful. The end pages in particular, are very cute and have sweet images of Book as he tries new things, like tennis, listening to music or bouncing on a trampoline. His cute smiles show us that he is having fun and thoroughly enjoying his new experiences. Teacher notes are a great way to explore this book even more. This classic story from Munro Leaf was written in 1936 and is still in print today, such is its popularity. Ferdinand is a bull who loves to sit in a field and smell the flowers. He doesn’t want to fight or play rough, he just wants to enjoy the peace and quiet of the day. Do find a copy of the book before the movie comes out and allow yourself a step back in time with the wonderful vintage drawings. Ferdinand is gentle and not what you expect from a great big bull but this reminds us that we really shouldn’t make assumptions about people and that we should be true to ourselves. I can’t wait to see the new movie coming out soon. It is nearly NZ Bookshop day, a day to celebrate bookshops up and down the country. Almost a year ago now, my all time favourite bookshop closed its doors for the final time and it still makes me incredibly sad. So I am writing this love letter to all bookshops, not just the ones I regularly visit, but all of them because they all deserve a little love. Without a little love, others too might have to close their doors. I love my bookshops and the wonderful staff who know so much, and offer so many good suggestions. Bookshops, much like libraries, are uniquely a haven for readers. I go there for information, books, gifts and a friendly chat. I go because I am always made to feel so welcome. I do buy most of the books for a school library where I am the librarian and in charge of the budget. I prefer to visit my bookshops and buy in person. I know they are not really my bookshops but it feels like it sometimes. I need to feel the weight of the books, see the font and make sure the text size is just right for my readers. 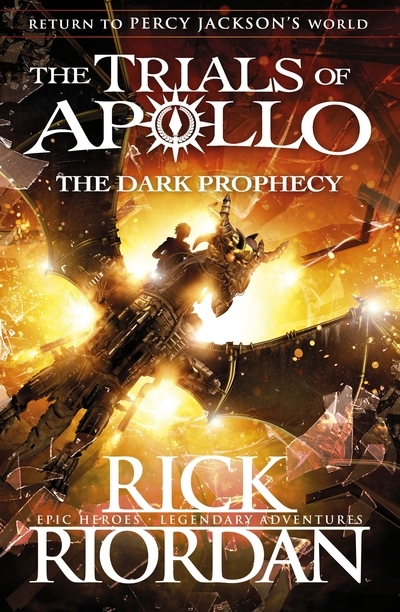 I love having discussions with the staff about the latest new books in a series or new titles coming out soon. I walk in to a bookshop, any bookshop and I kind of feel like I am heaven. I could curl up in a corner and stay there all day feeling safe and secure, if somewhat lost in other worlds and other stories. Bookshops need to be loved. They need their customers and they need you. Check one out on NZ Bookshop day 28th October. Spend some time there and say hi to the staff. I know I will. You can’t keep me away. So my love letter is to all bookshops, your staff, managers, owners, everyone involved, even other customers that I sometimes end up having chats with, I wish you all the most wonderful, happy and thriving bookshop day. Scar Island by Dan Gemeinhart @DanGemeinhart : survival , danger, adventure – this has got the lot. 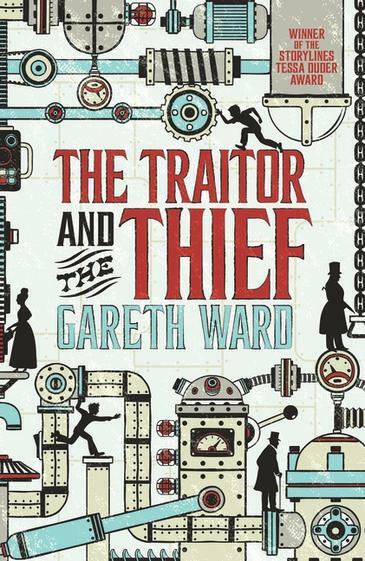 This book landed on my desk this week and I have added it to my TBR pile as a must read. I have even sneaked it to the top of the pile and hope to get stuck in very soon as long as I can get in before the senior students at school grab hold of it or I might have to wait my turn. Certainly one to look forward to. Book trailers have so much power. They encourage us, taunt us and leave us hurrying to get the book to find out just what is going to happen to the characters. Check out the trailer below and see what I mean. The fact that the author is a fellow librarian is also very cool. “Jonathan Grisby is the newest arrival at the Slabhenge Reformatory School for Troubled Boys–an ancient, crumbling fortress of gray stone rising up from the ocean. It is dark, damp, and dismal. And it is just the place Jonathan figures he deserves. Because Jonathan has done something terrible. And he’s willing to accept whatever punishment he has coming. What a beautiful thought-provoking picture book. Princess Gie Gie must endure the daily grind of walking long distances to fetch water and walking back again, day in day out. It is time-consuming and monotonous but water is essential for life and so it must be done. Gie Gie wishes so much that water was at her fingertips. She has dreams that one day water will be plentiful for everyone. This book deserves so much more than a cursory read. Indeed, it needs to be read again and again. We have the cultural aspects of what it is like to live in such a harsh environment and the desperate need for water, something most of us take for granted. We simply turn on a tap and water flows. The closest experience I have to this is after the devastating earthquakes here in Christchurch in 2011 and having to collect rainwater from an old tarpaulin draped over the clothesline and having to dig holes in the backyard to go to the toilet. We were lucky and we had water within a week. Other people here went without water for so much longer. Water was brought in to the city by trucks. There are no trucks where Gie Gie lives. Gie Gie, despite her reluctance to walk yet another day to collect water, continues to remain hopeful. She is quite frankly, delightful and her love of the land and wide open spaces is heart-warming. The burnt-orange and browns are perfect colour choices for the wonderful illustrations which show just how harsh it is to live in a land with very little water. An environment so different to our own that it is difficult to understand but the illustrations here really create Gie Gie’s world for us. Gie Gie’s expressions are honest. We see it when she stamps her feet annoyed at having to fetch water yet again, and in her love of the land and family. Overwhelmingly, we see it in her resillence and hope. Gie Gie is strong and detemined and such a wonderful role model for young readers. Love this book to pieces. A must-have for all school libraries. A not so typical day in my library. Baby hedgehog rescuing. Sometimes you just have to deviate from your normal posts and this is one of those times. At school today I disposed of a rather dead and smelly hedgehog. 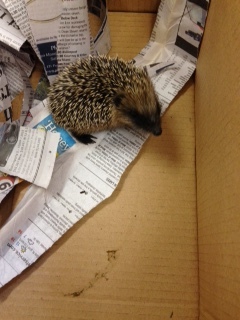 Sadly, she left an orphan, a wee baby hedgehog roaming around looking very lost and forlorn in the middle of the day. 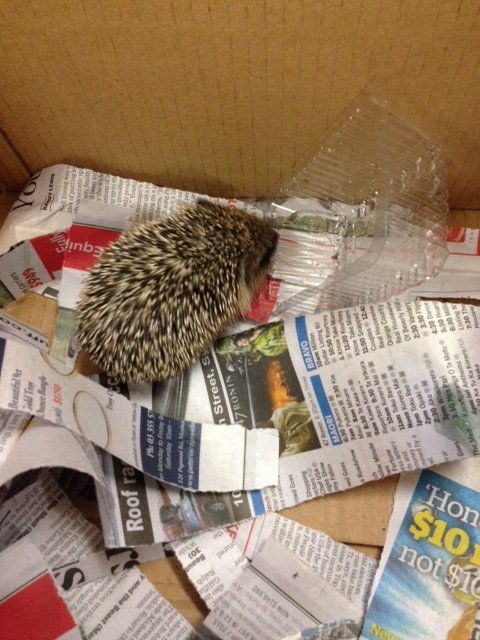 So I have rescued the wee thing and it has been rustling around in an old box by my desk. It has not long gone to sleep now and is so cute. The Animal and Bird Hospital will look after it and make sure it is looked after until a little older and able to fend for itself. Children have come into the library for a little look too. Very quietly of course. He or she really is very little and adorable. Last night was a disastrous night here in New Zealand with multiple earthquakes and aftershocks. Sadly two fatalities and lots of damage. We are strong, having been through these before but it is still horrible to endure. SO I want to bring some cheer to those who are feeling shattered and on edge (like me). I am sharing a video for Christmas. Copyright of course belongs to John Lewis. Enjoy and for those in affected areas, please stay safe. Kia Kaha. This is a difficult post to write but one I must. This is not about the history of the shop, or the owner’s experiences or even the fate of the shop (although I am ever hopeful a buyer will be found). None of that is my story to write. This is about my ten years experience working in one of the most wonderful bookshops ever. I worked every Saturday and many of the school holidays for the last ten years. The best holiday to work was the build up to Christmas where everyone was full of excitement and book chat. We had the perfect location, right in the heart of Victoria Street in a quirky building with lots of nooks and crannies. The big earthquakes of 2010 and 2011 changed all that but we dusted ourselves off and started again in a different part of town. What I gained from my years of working as a retail assistant was a growing confidence in myself. I had to approach customers and begin conversations, something I was always intimidated by before. Over the years, these customers have become friends. I know their children, I know their likes and dislikes. I have hugged customers as they cried when telling me why they are buying a special book for a wee child. Stories about a young dad dying or siblings who have died. I remember helping a young mother with book choices for her children and wrapping them for Christmas presents, knowing she had cancer. Sadly she died a few weeks later. Then there are the grandparents who religiously come in every birthday, Easter and Christmas. They are all like family. We don’t just sell books and gifts, we listen. We listen and even on occasions look at their family photos. 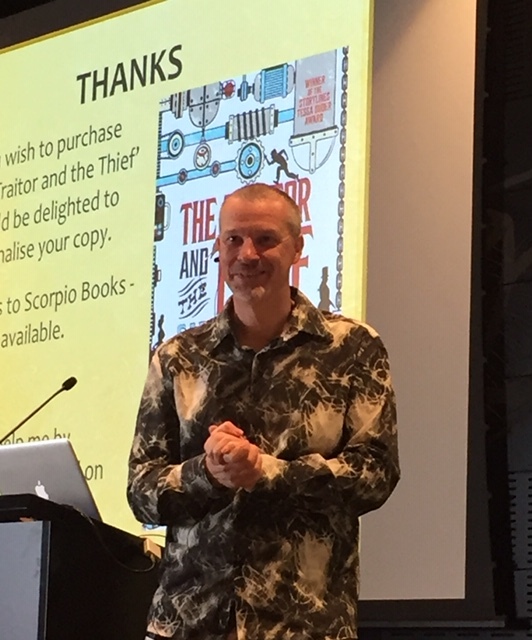 I have attended many publishers Road Shows which I will miss. I loved finding out what new books were coming out and felt I was privy to special secrets. I have had the privilege of meeting so many fantastic authors and illustrators from New Zealand and internationally. I’ve had wonderful conversations with Margaret Mahy, Andy Griffiths, Derek Landy and so many more. I have chatted with Michael Morpurgo (my absolute hero) and even been kissed on the cheek by him. Years later, my right cheek is still unwashed. I was so fortunate to have my own book launch at the shop. A wonderful setting, a fantastic night with wine and nibbles, and an amazing cake. I felt like royalty, thoroughly spoiled by so many friends all thanks to the support of staff at the shop. What saddens me about the closing of this wonderful shop, is not just a personal loss of a job I have loved, but what it means to the city of Christchurch and children’s literature in general. We were specialists and while other bookshops sold much the same as we did, we also sold those books that were unique, beautiful and sophisticated. We were not afraid to come out from behind the counter and talk with our customers. I will miss my wonderful colleagues, Jane, Louise, Pru and Mary, my boss, and Jamie who had recently moved on to another job. I will miss having somewhere special to go every Saturday. I will miss our wonderful customers. I miss my old friend, The Original Children’s Bookshop more than I thought I ever could. I feel like I have lost an old friend and am grieving for that friend. A few Saturdays ago when news became public about our liquidation, the shop was so full with customers coming in. Many of them cried, sad we were closing. Customers just hugged us openly and in shock. Emotionally it was an incredibly tough day but I feel so proud to have been part of this very special place and to have travelled with them for as long as I have. Is it the end? I hope not. Will it be bought? I hope so. Will I stop crying? One day! As they say, never say never. I live in hope. And please, please, shop local. Keep our bookshops alive.